Reebok Classics is re-releasing the classic DMX 10 running shoe, which first came out in 1997. Reebok Classics has already stirred up quite a buzz with its headfirst plunge into the retro basketball sneaker market, but that's apparently not the only market they will be pursuing. The brand recently announced the return of the DMX 10, the first offering in its planned line of retro running shoes. The DMX 10 debuted back in 1997, and it was the first shoe to sport Reebok's "moving air technology," in which balance pods attached to the bottom of the shoe transfer air with each step, providing a sort of "micro-instability" during each run. 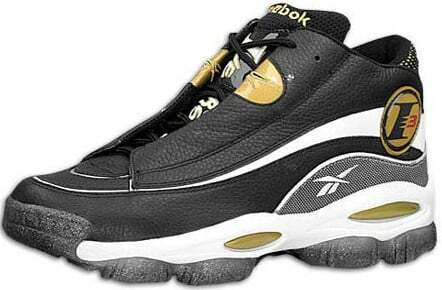 The DMX 10 went on to inspire Allen Iverson's first signature shoe, the Answer I. The DMV 10 re-releases tomorrow in the three colorways pictured above—at Foot Locker, Finish Line, Champs and City Gear, and online at Reebok.com, for $120.